The EOSPY – Executive Order Sensor Processor sYstem Server is compatible with most popular GPS Tracker Devices, and many companies make various off-the-shelf GPS Tracking Devices that can be purchased from a number of vendors. The EOSPY Lite application configures an unlimited number of GPS GSM Trackers and shows your GPS Tracking Devices on your Android phone map. Devices that can be installed in your vehicle, miniature devices that can be carried, GPS watches, GPS dog collars and property tracking/locators, these GPS Tracking Devices from a huge number of manufacturers are compatible with the EOSPY GPS map system. EOSPY Lite Android application easily configures and programs an unlimited number of GPS GSM Trackers by sending multiple SMS to your GPS Tracking Devices. 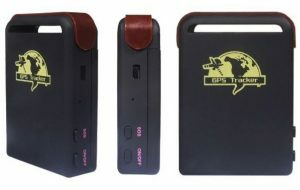 These GPS Tracker Devices report location and additional information to the EOSPY Server at selected time intervals. Constant information is at your fingertips by using an internet-connected or mobile cell network. 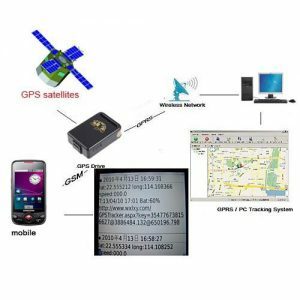 Executive Order Sensor Processor sYstem Server supports more than 90 GPS communication protocols and more than 800 models of GPS Tracking Devices from popular GPS vendors. EOSPY. Executive Order Sensor Processor sYstem is designed to support as many tracking devices as possible. Check the EOSPY device list for supported GPS tracking devices. Simply insert a GSM sim card into the GPS unit. Whenever you call the unit, it will respond with the coordinates of its location thru an SMS message. You configure the EOSPY Car GPS Tracker, through SMS messages and can then use these coordinates on the EOSPY GPS mapping software which will show where exactly the unit is located. With some little setup, you can also have the EOSPY Car GPS Tracker Device send the map data directly to your EOSPY map through GPRS and display its location on a map for real-time location tracking. The EOSpy Car GPS Tracker will transmit latitude, longitude, altitude, speed, course, distance and battery information. Also, some have additional features like an SOS Alarm panic button. The EOSPY Car GPS Tracker map SMS information including Latitude/Longitude, speed, time remaining battery power and EOSPY has Advanced Reverse Geocoding – Geocoding is the transformation process of addresses and places to coordinates and is sometimes called forward geocoding; whereas Reverse geocoding uses geographic coordinates to find a description of the location, most typically a postal address or place name. EOSPY will provide you with the address of each GPS tracking Device or EOSPY Android client application. Executive Order Spy Lite – Android application easily configures an unlimited number of GPS GSM Trackers by sending multiple SMS to your GPS Tracking Devices. EOSPY Lite is also a lite Android version of the EOSPY – Executive Order Sensor Processor sYstem Server made to track and show your GPS Tracking Devices on your Android phone map. EOSPY Lite receives light and sound warnings indicating that the vehicle position has moved. An alarm is triggered if the SOS button is pressed or the vehicle has exceeded the speed you predefine.